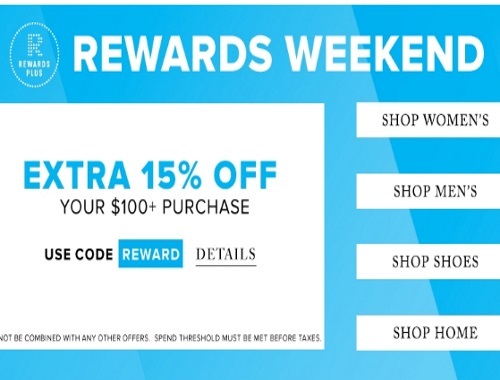 It's a Rewards Weekend at Hudson's Bay! Save 15% off your purchase of $100 or more! Enter the promo code REWARD at checkout. Offer is valid through Sunday, November 13, 2016.